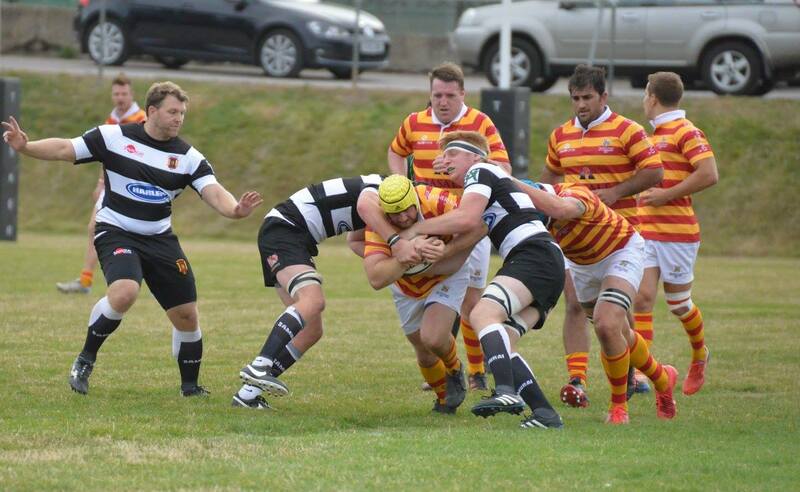 Match Report from David Page, Director of Rugby : Gravesend RFC 31(18) V Chobham Rugby 17 (17). The opening game of Chobham’s 50th Season saw the club revert to wearing club colours first seen in 1967, the side sponsored by ‘Basalt Global’ did not begin as planned away at Gravesend; relegated into London 1 last season. The late arrival due to horrendous problems on the M25 did not appear to halt the Surrey sides initial progress as the ball from midfield found speedster Josh Devitt who left the Gravesend defenders for dead. Alec Thomson added the extras and Chobham led 7-0. The home side began to claw their way back first with a penalty on 15 minutes then on 20 through a converted try after some sloppy defending allowing the prop to get through then on 25 with a driving maul, this put the Kent side up 15 -7. Chobham began to find their stride when on 30 minutes a well worked move found Ollie Smith in space, an invitation he rarely fails to take advantage of 15-12. Thomson had further chance to extend their lead but Thomson’s penalty attempt sailed wide. On 35 minutes Harry Guy standing in at Scrum Half due to Maternity calls and unavailability, found himself in space out wide and some lovely handling saw the ball move out to him, he used his pace and scored a well-earned score to ease the visitors into the lead 15-17. On the stroke of half time another penalty against Chobham saw the home side regain the lead 18-17. 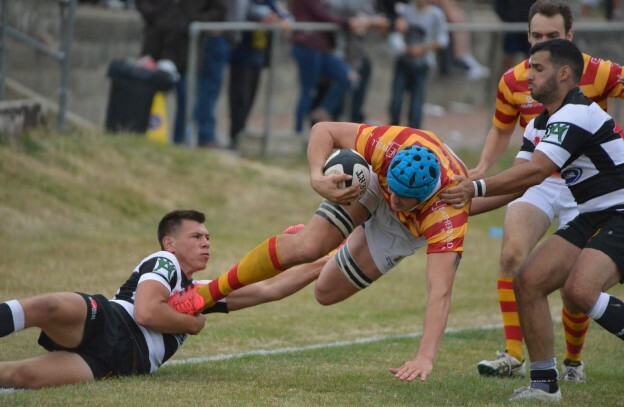 The 2nd half saw Gravesend playing with wind score a converted try and two penalties. Chobham had plenty of possession but some fumbles along with some curious referee decisions saw Chobham gain no reward for the pain they went through. Next week Chobham play at home to Chiswick who also lost their first game, so a win is vital if thoughts of a top 2 finish are too remain. 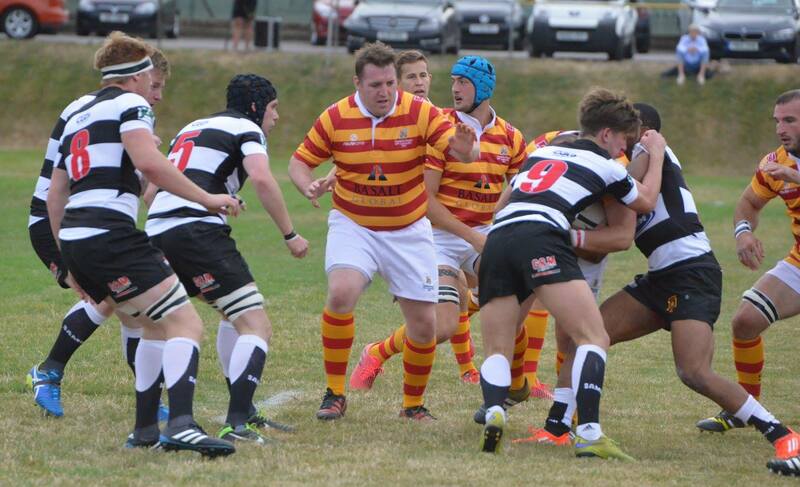 Chobham fielded two debutants – Owen Glover a former mini and junior it the club returning from his years at University and Chris Browne moving over from London Irish. Recruitment will continue and we also expect several members of the squad to recover full fitness, one being Ryan Gregory the club Player coach. It is encouraging that 7 of the 18 players came up through the various Chobham age groups.